National Transportation Safety Board investigators have determined that the truck involved in the Metrolink train crash in Oxnard was not stuck on the tracks as initially believed. OXNARD, Calif. -- National Transportation Safety Board investigators have determined that the truck involved in the Metrolink train crash in Oxnard was not stuck on the tracks as initially believed. "Our information is the collision occurred about 80 feet down the railroad track toward Oxnard. It had to travel there somehow. It was not stuck, bottomed out on the track or something like that, it had actually traveled down the railroad track itself," said Robert Sumwalt with the National Transportation Safety Board. About 2,100 crossing accident occur each year, but Tuesday's derailment drew NTSB attention because the truck was found having driven down the tracks. Investigators are expected to remain on scene for five to seven days. "Our objective is to collect perishable evidence," Sumwalt added. "We are not here to speculate. We never speculate at the NTSB. We're not here on scene to determine the cause of the accident. We're not here on scene to analyze. I know everybody wants to know what happened, and we will determine that, but our goal here is to collect that information that will go away with the passage of time." As part of the investigation, NTSB plans to do a sight distance test, which means they will set up a mock situation to see how far down the track each person could actually see from both the train and pickup truck. The NTSB is also looking at video and data equipment on the train that should reveal the moments before the crash. A Metrolink commuter train derailed in Oxnard on Tuesday, Feb. 24, 2015. See photos from the scene. Jose Alejandro Sanchez Ramirez, 55, of Yuma, Arizona, was arrested Tuesday on suspicion of felony hit-and-run after a Metrolink train headed toward Los Angeles struck his large pickup truck, which was hauling a trailer, on the tracks in Oxnard. He was scheduled to be arraigned Thursday. Information from the control cab showed the train engineer managed to hit the brakes early, but could not avoid the crash. Ramirez's lawyer Ron Bamieh called the collision an "accident." Ramirez was driving his company's truck and trailer. He has been employed by the same produce trucking company, The Grower's Company, Inc., for 12 years. "The arrest of Mr. Ramirez is the unfortunate result of law enforcement attempting to cast blame on a man who was caught in a tragic situation with no way to stop the oncoming tragedy. He does not know how or why the truck he was driving stopped on the tracks, and wishes there was something he could have done to prevent this accident," Bamieh said. Bamieh added that his office's investigation showed that Ramirez's truck did become "entangled and unable to move off the railroad tracks. The truck and the trailer were somehow stuck." About 50 people were on board. Twenty-eight people were taken to a hospital, including four in critical condition. No fatalities were reported. On Wednesday, clean-up efforts continued. All derailed cars had been removed from scene. Track repairs and crossing light and arm function checks were ongoing. Authorities were hoping to get the site cleaned up by the end of the day. Delays were expected for commuters traveling near the crash area. 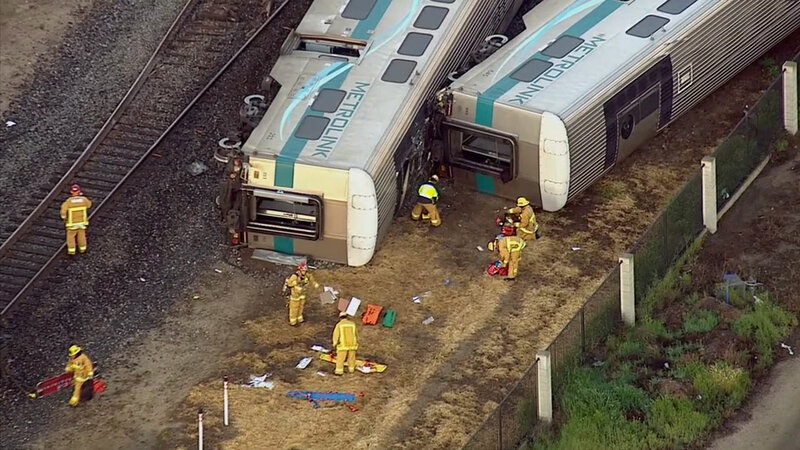 Metrolink riders for Ventura County Line Trains 102, 104 and 106 will be bused around the crash site between the Camarillo, Oxnard or Ventura-East stations and the Moorpark station. 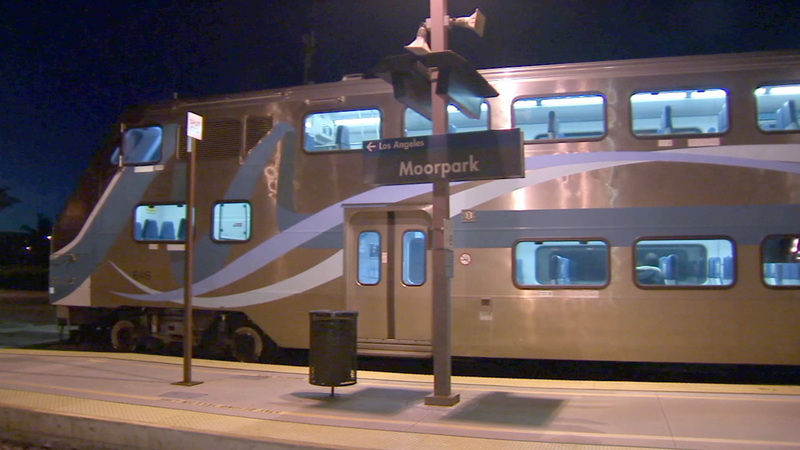 Regularly scheduled service resumes for passengers traveling between Los Angeles Union Station and Moorpark station. Metrolink service on the Ventura County Line resumed regular service a day after a train collided with a pickup truck on the tracks in Oxnard. Amtrak trains, which were suspended in the area on Tuesday, was also expected to resume limited service between Los Angeles and San Luis Obispo. The changes impact Pacific Surfliner and Coast Starlight trains 11 and 14. Oxnard drivers are urged to avoid the derailment site, located at 5th Street and Rice Avenue, which is expected to stay closed until at least 8 a.m.